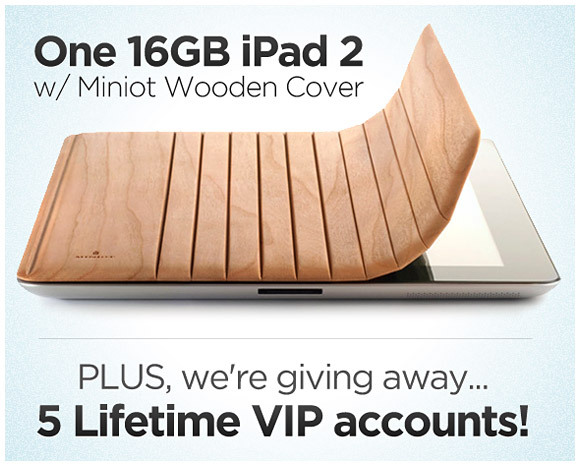 Today we're starting a giveaway here at PopSurvey to win a couple of great things: a 16GB iPad 2 with a beautiful Miniot wooden cover as well as 5 lifetime VIP accounts! We will pick six winners at random based on the number of entries you've got. So, the more entries you have, the better chance you have of winning! Use the widget below to start entering! Some of the actions (like tweeting, blogging and posting surveys) can be done every day to enter even more! The giveaway will last until 12:01AM on March 5, 2012. We'll announce the winners within 48 hours of the giveaway ending. So get started! Spread the word to get even more entries, and have fun!